I grew up with a “harvester”. Some people enjoy gardening; my mum isn’t a “gardener”, but she loves picking things from the garden and serving them that night. Grandpa was a farmer, and even though he left the farm before I was born, a vegi-garden prolific enough to feed family, friends, and anyone going through hard times is wired into our DNA. I rent. And a vegetable garden requires more permanence (and soil) than I possess. 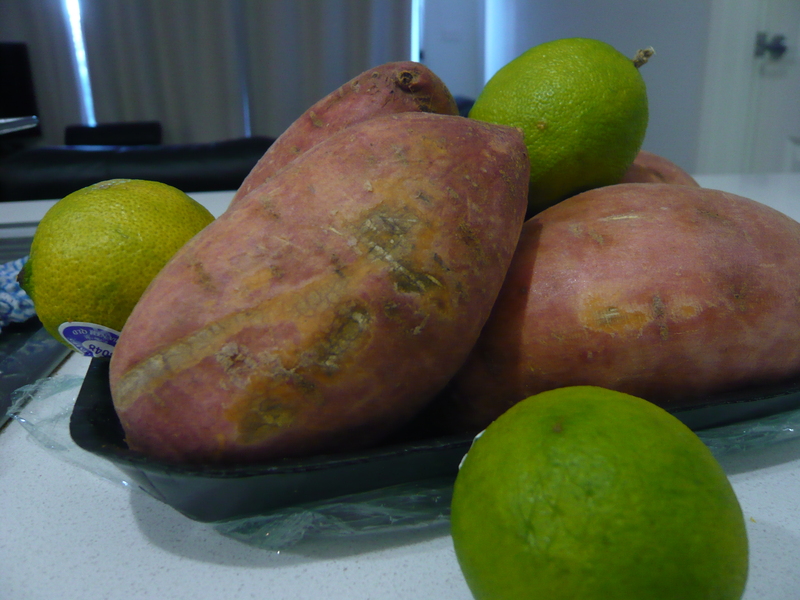 It’s taken me years to make peace with paying for lemons, lettuce and potatoes. It’s taken longer to accept that fresh raspberries are an indulgence, not a food group. But here, in my lovely new oasis, my herb garden has finally flourished. And I have discovered that tomatoes can be grown in pots! When the season ends, I plan to experiment with rhubarb. The logical solution to a basil glut is pesto. Dry roast the pine nuts in a frying pan over medium-high heat until golden, tossing to prevent burning. 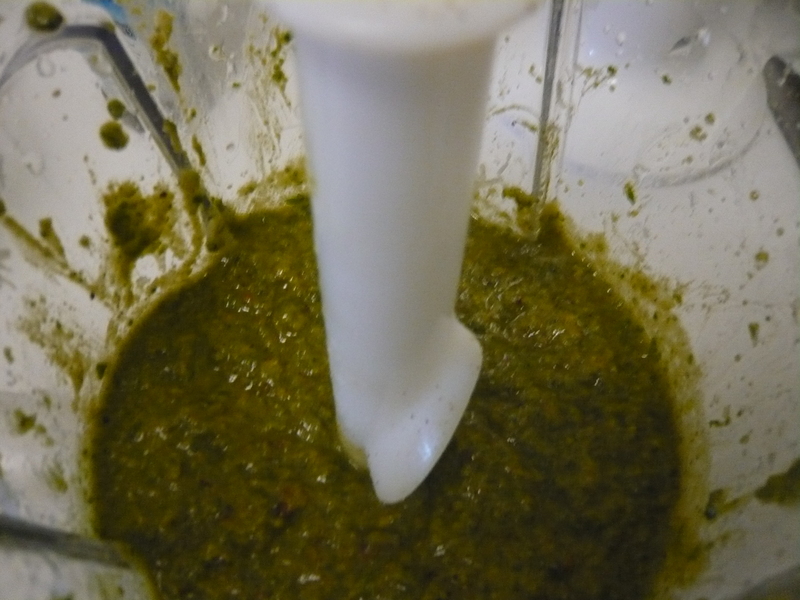 Put ¼ cup olive oil, ½ the pine nuts and the remaining ingredients in a food processor and blend to a paste. Don’t be tempted to add more garlic. When cooking I lean on the generous side with my flavourings; the first time I made pesto, I has a large clove of garlic and a medium clove and I used them both. It was a mistake. Basil and parmesan aren’t delicate flavours per se, but they will both be quickly overwhelmed by garlic. 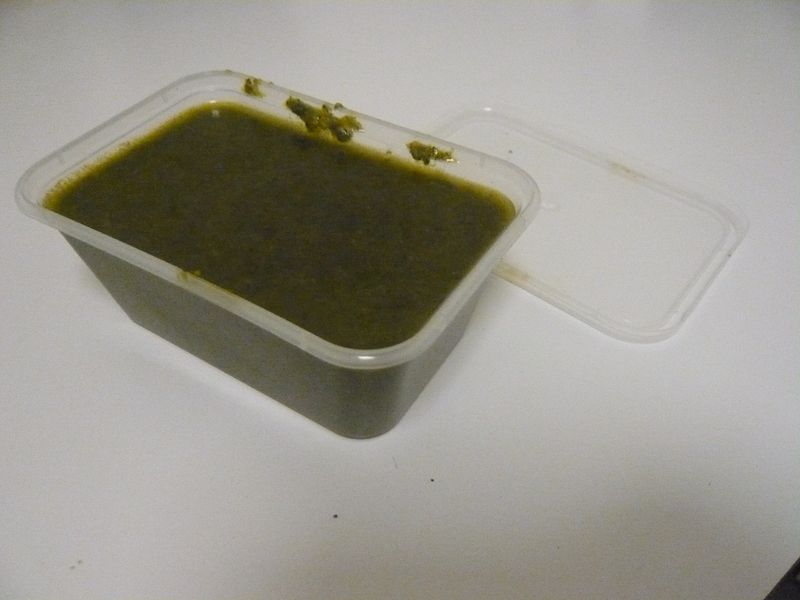 Remember, while you will be combining the pesto with hot things and that will take the edge off the garlic, the garlic is still raw, so much more over powering than in most sauces. Also, if you don’t have the access or the budget for fancy expensive cheeses, 100gm of parmesan will do the job just as well. Add the remaining pine nuts and pulse the food processor for a few seconds, so that the pine nuts remain in chunks. 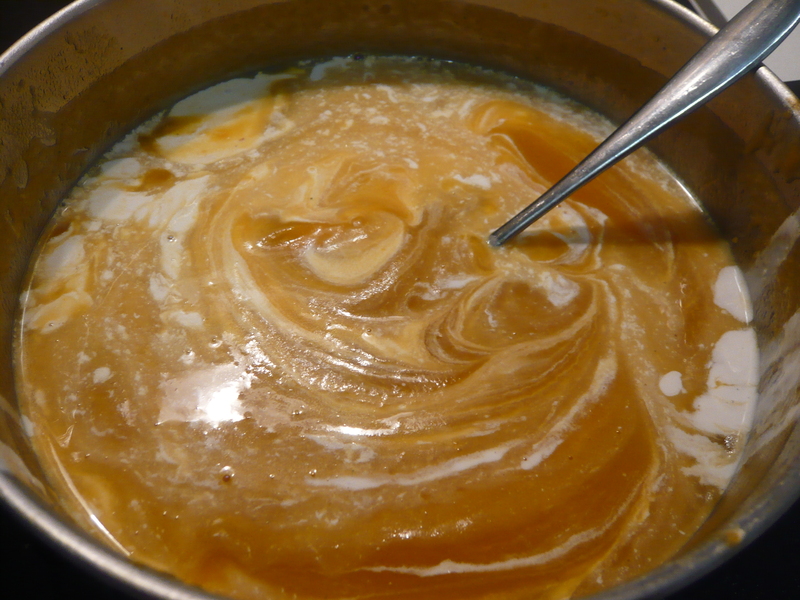 Stir in the remaining oil. 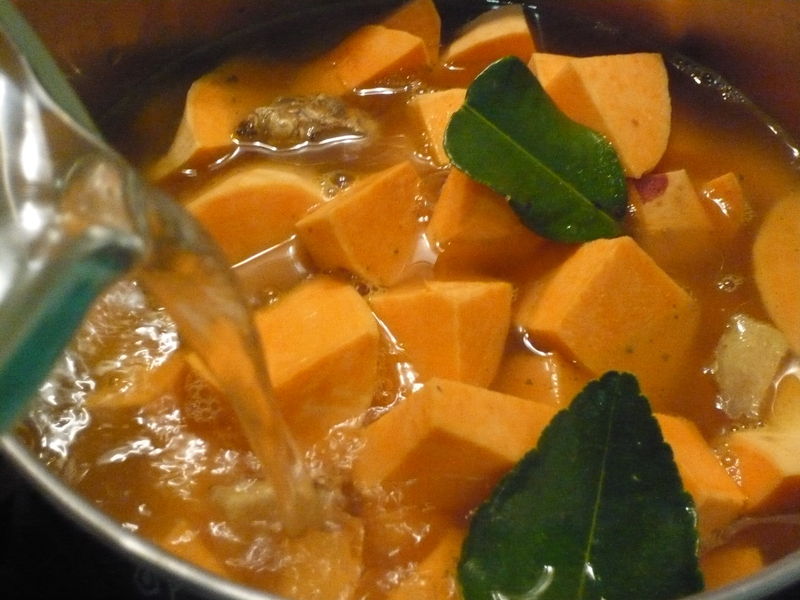 It is worth stirring in a small amount at a time, as depending on the basil you’re using and your own preferences, you may not need that much. 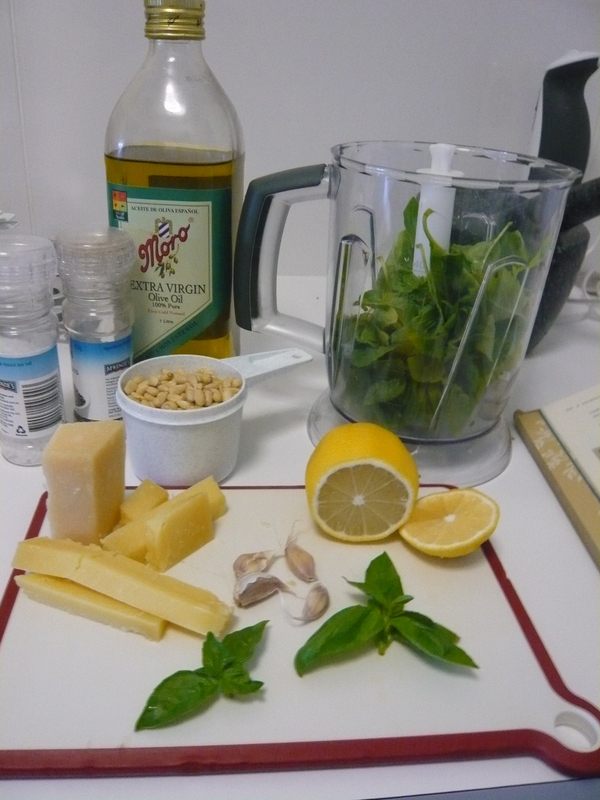 If you have a lot of basil, you can combine the basil, pine nuts and oil. Place in small plastic tubs and freeze. When ready to use, defrost the tubs in hot water, and add the garlic and grated cheese. Pesto is a versatile ingredient, acting like a condiment in minestrone or tossed with greens, or combined with pasta for a great convenience food. My first housemate frequently pan-fried sliced chicken breast and mushrooms, combining with penne pasta, pesto and a little cream and serving with steamed greens. I’m sure you have your own favourite use. 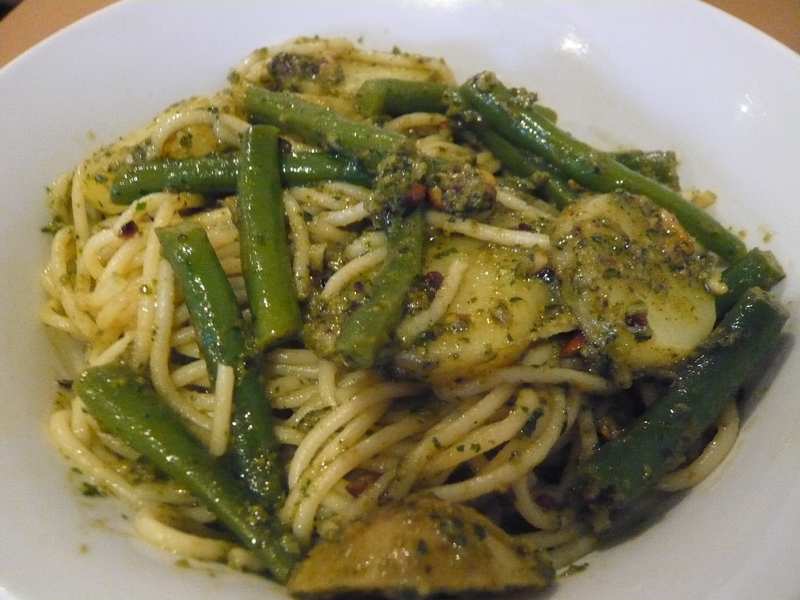 I personally am a huge fan of Spaghetti Genovese, which was one of the staples of my teen vegetarian years. 1 baby potato, skin on, sliced. 75gm green bean, ends off, sliced into 2cm lengths. Half fill a saucepan with water. Salt. Bring to boil. Add the spaghetti and potato, cook till almost tender. Add the beans for a few minutes. Drain, reserving some of the starchy water. 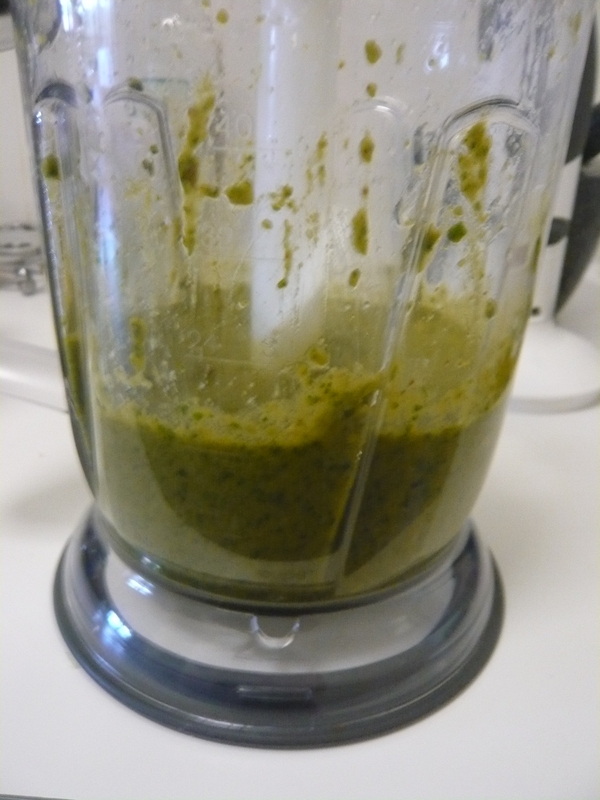 Combine the pasta, vegetables, starchy water and pesto. What’s your favourite use for pesto? Do you have any tips for courtyard produce that won’t upset the landlord? 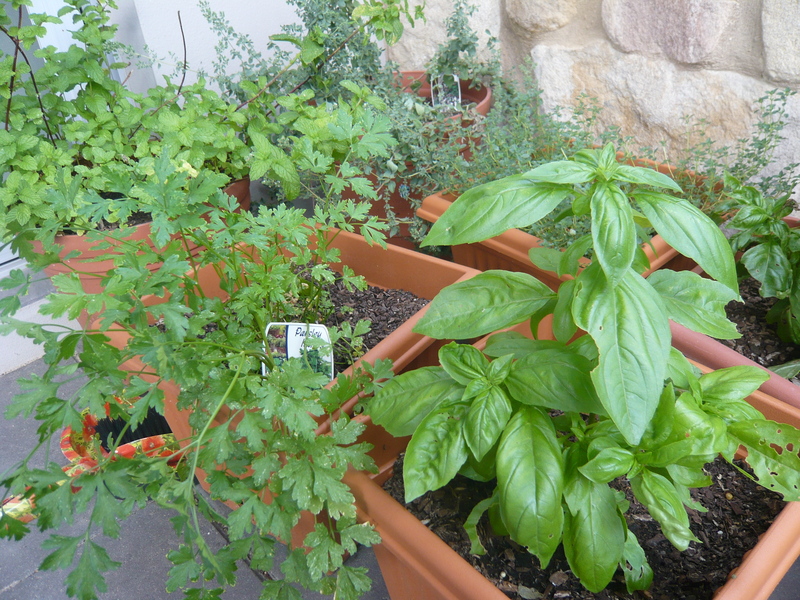 Posted in recipes and tagged basil, courtyard garden, lazy meals, pasta, Seasonal Cooking. Bookmark the permalink. So it’s been awhile; quite a while. Life happened. Ect. But it’s a new year, and I feel inspired to try to blog again. I’ve missed you. I’ve also stopped being as much of a health nut, and am consequently eating yummy food again. I felt hypocritical talking about cake when I didn’t eat it (the craziness of the months when I did not eat cake need never be mentioned again). Part of the above mentioned “life” was moving house. 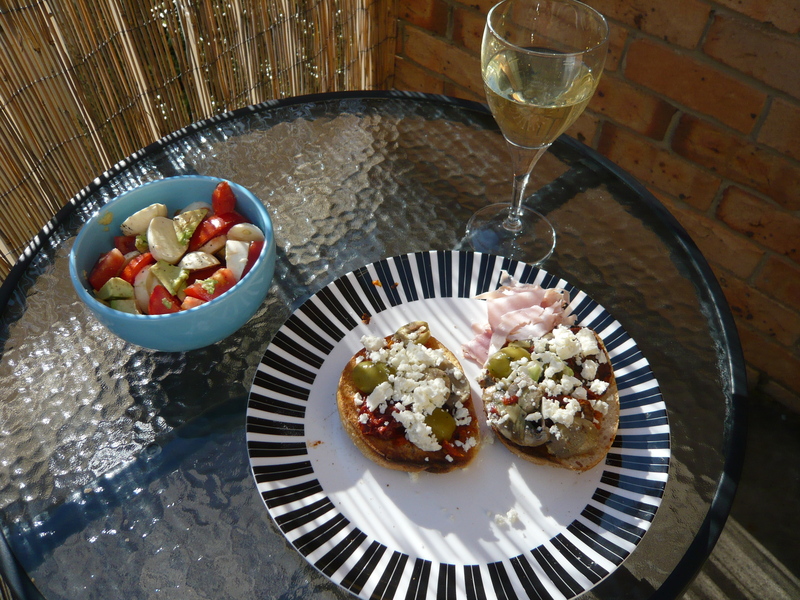 I now live in a tiny apartment without room for a table inside, but I think you will all agree dining alfresco has its advantages. I think this is the best dining room/larder I’ve ever had. Stay tuned for Stephanie Alexander inspired kitchen garden posts shortly. The dinner pictured is simple, but it was bliss. Australia is riding a heat wave that’s left me reluctant to use the stovetop or oven. The evening in question saw a cool breeze blow through. I sat with a lovely Shiraz, a lovely dinner, and watched the world walk by. I’ve raved about my love for Lamb backstrap before. I will again. I generally find Lamb just too fatty to enjoy. I have a lean palate. Yes, this means I’ll never be a real “foodie”. Yes, this means the current passion for game meats has left me with limited choice in restaurants. But I’m a postmodernist. This means I reject cultural hierarchies and ideas of some things possessing “value” while others do not based on genre or classification. This means I watch the Vampire Diaries without shame, defend the presence of Bridget Jones’s Diary next to Mrs Dalloway on my bookshelf, and I’m not going to pretend to prefer the “dark” “interesting’ thigh meat to “bland” breast when I don’t. Not that I think anyone is going to suggest an obsession with backstrap is low class. I took the meatout of the fridge a half hour before cooking; dressing with olive oil, some smashed cloves of garlic, oregano and lemon thyme from the garden, pepper and a little salt in the butchers bag. After it marinated a little I heated my griddle pan to high heat, cooking four minutes on each side (I lean toward medium well when at home, so three and a half minutes is probably more respectful to the beautiful cut of meat). Then I removed from heat and rested while I got on with the salads. This lovely evening saw my first attempt at vinaigrette (I know, I’m not sure why I think I have any business writing a food blog either). I took one part extra virgin olive oil, one part grapeseed oil, one part lime juice, one part white wine vinegar, one clove crushed garlic, and salt and pepper. It’s not exactly complicated, or ground breaking, but it was very pleasant. I dressed some salad leaves, tossed with cucumber, celery and capsicum. I also whipped up a Caprese salad. 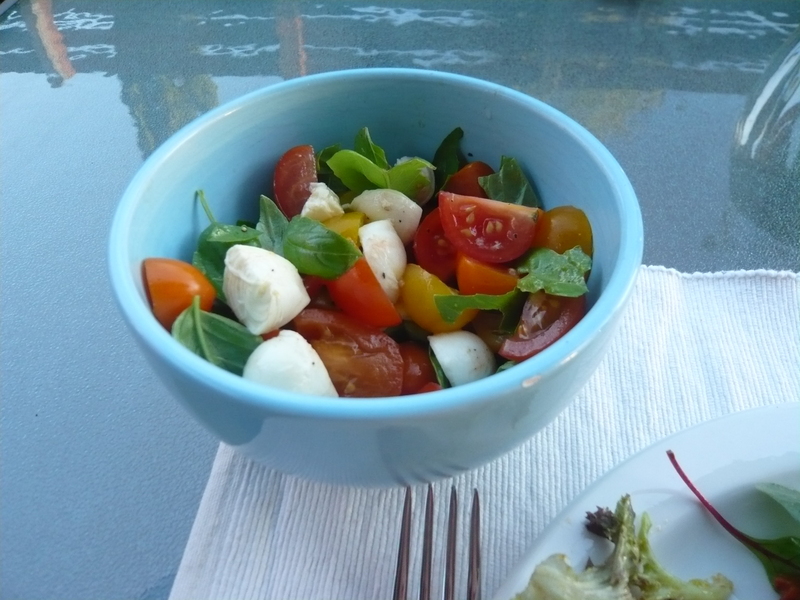 I have fallen in love with the baby tomato medley available from my greengrocer, different shapes, flavours and colours makes dinner pop and an abundance of basil in my garden have made this a staple this summer. Then I platted and enjoyed. Like I said, a simple meal, but when combined with setting, it was wonderful. What’s your favourite salad dressing recipe? I’m eager to learn. 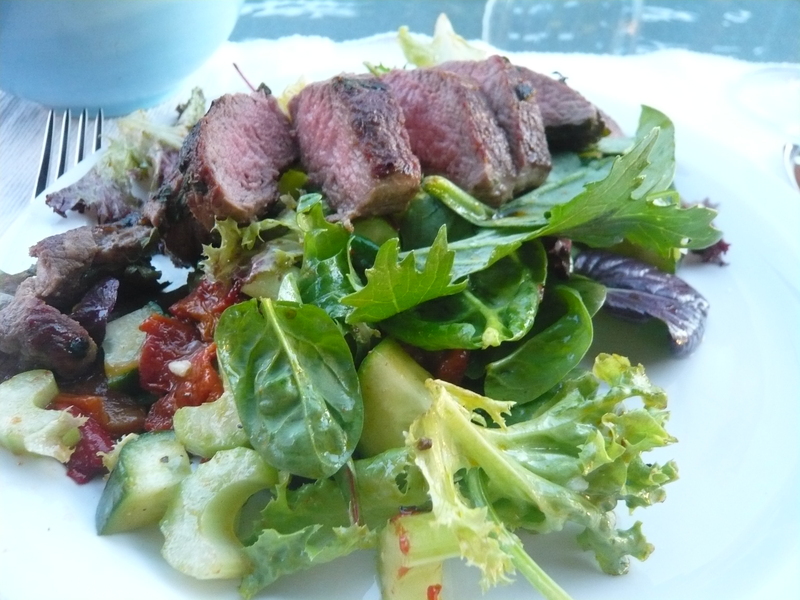 Posted in Uncategorized and tagged courtyard garden, lamb backstrap, lazy meals, Seasonal Cooking. Bookmark the permalink. I said last week that I thought that winter was at an end. Then when I left my house this week, when I arrived at work, this. And at the markets today, this. Asparagus. 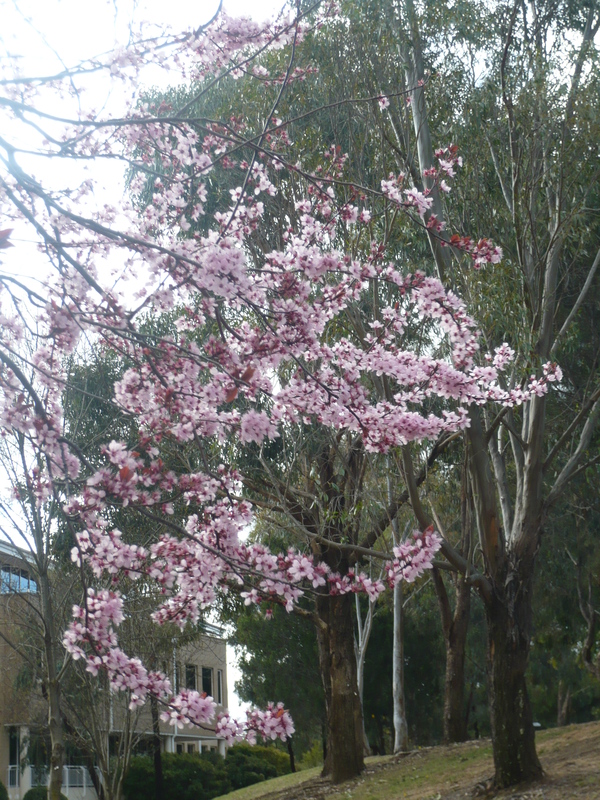 Spring. It’s very exciting. And it means I can eat this. 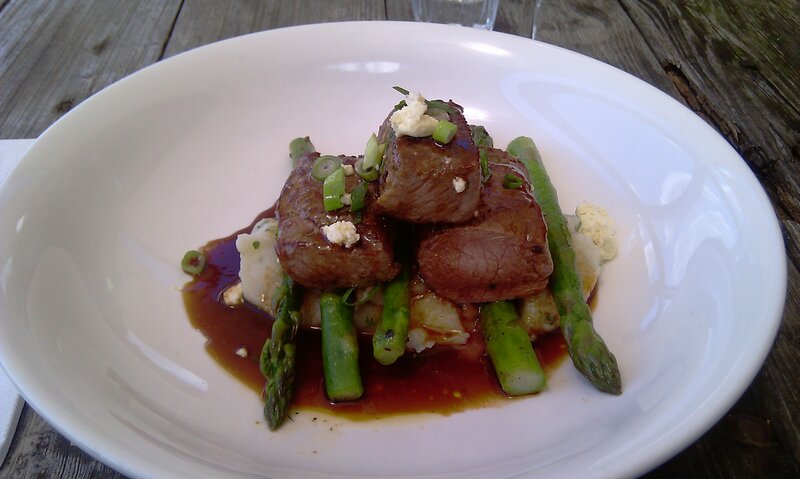 Grilled lamb backstrap, mashed potato, poached asparagus, goats curd, red wine jus. 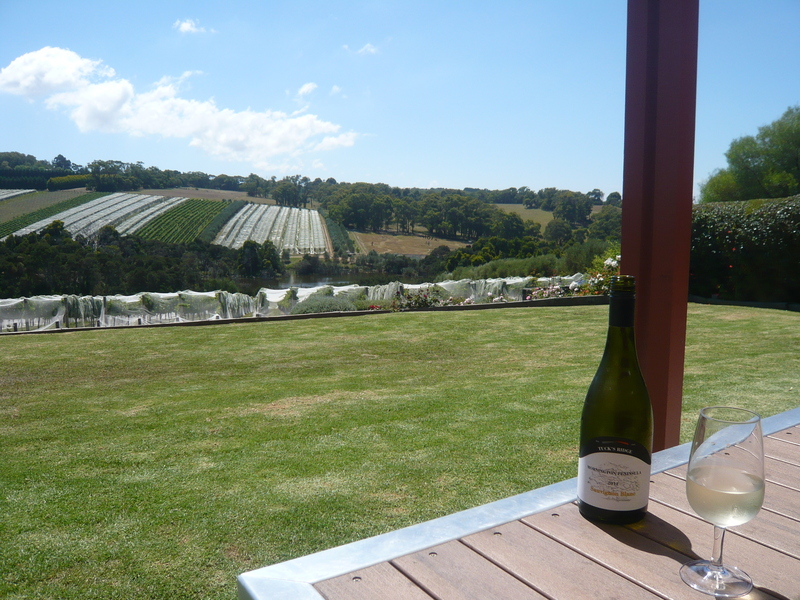 I had it at Tuck’s Ridge on the Mornington Peninsular last October , and I’ve been attempting to recreate it ever since. Delicious, even if it never tastes as good in my kitchen as it does in the sunshine by the vines. 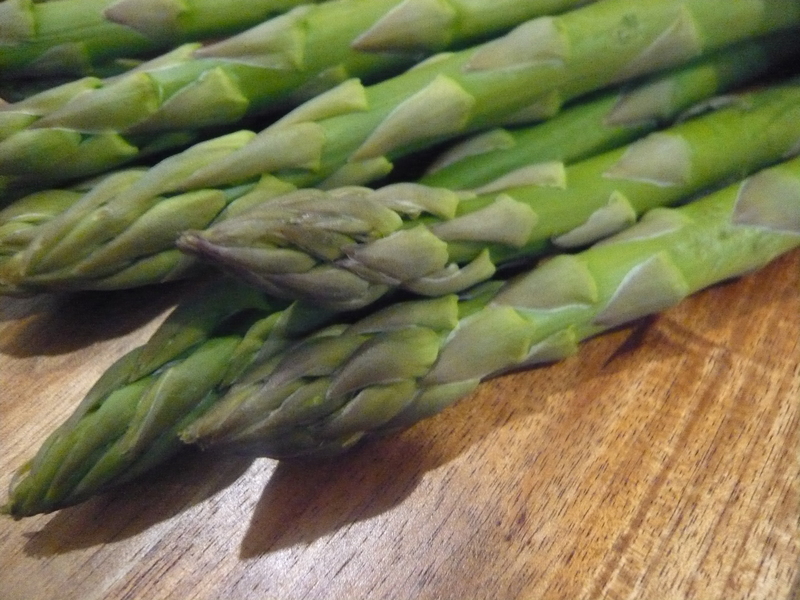 In my seasonal excitement I grabbed my Maggie Beer to see what else I should do with asparagus – poached, then finished off with a pan of browned butter, or with poached eggs and hollandaise sauce, were the big suggestions. 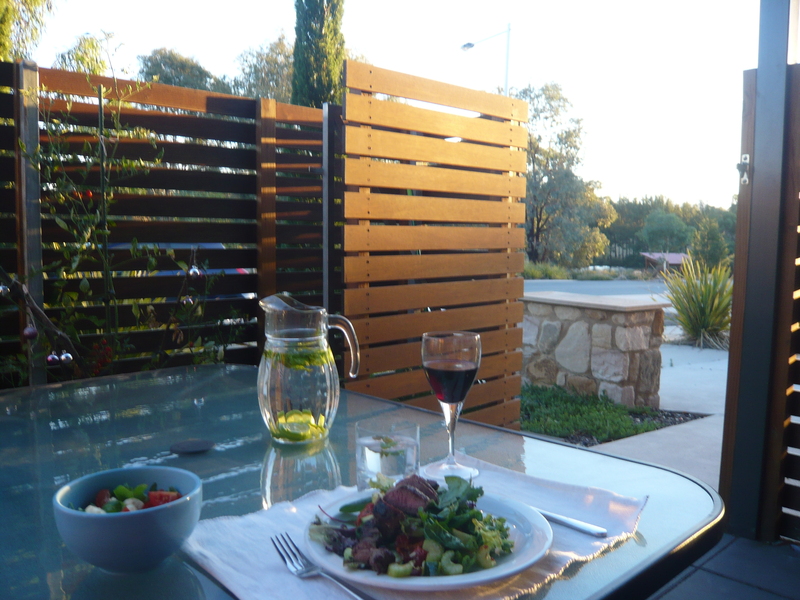 Posted in Uncategorized and tagged Asparagus, lamb backstrap, Mornington Peninsula, Seasonal Cooking. Bookmark the permalink. The Chestnut sellers weren’t at the markets last week, I doubt they’ll be there today. 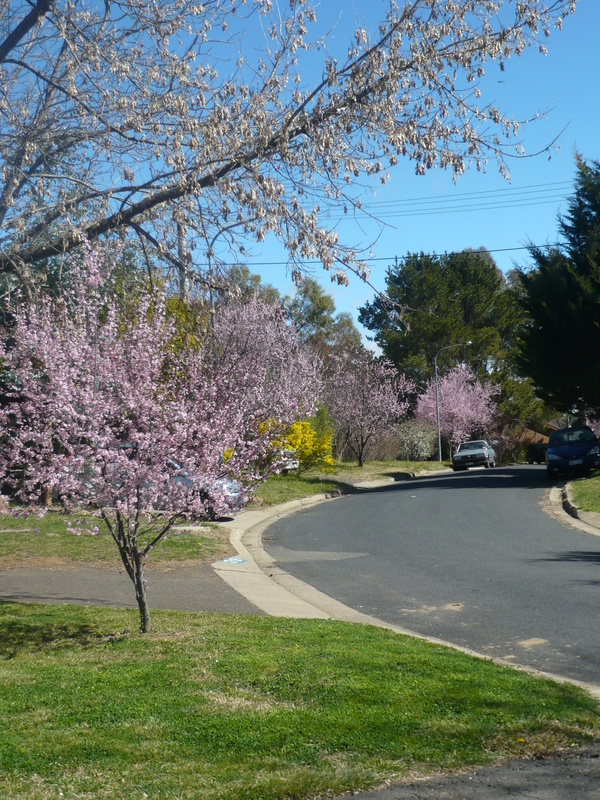 And while there is still frost in the mornings, while flowers might be few and far between, I can’t help thinking this marks the end of winter. The Roast Chestnut sellers are without doubt one of my favourite parts of winter. It’s my post-run ritual. There’s something about holding that hot brown bag, cradling it to protect it from the cold, peeling shell from nut flesh, and then devouring 150gm of nutty goodness in the carpark that just makes running 6km in the bitter cold seem so worth it. Chestnuts are full of associations for me. I didn’t grow up eating chestnuts. 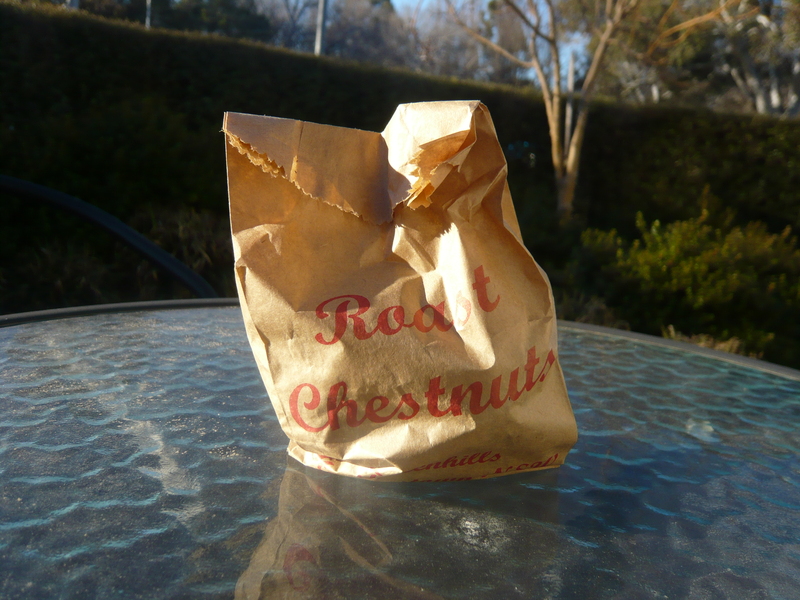 They were the stuff of Christmas Carols and Dickens, not actually a real foodstuff like cashews and macadamias – the nuts of choice for an Australian Christmas. 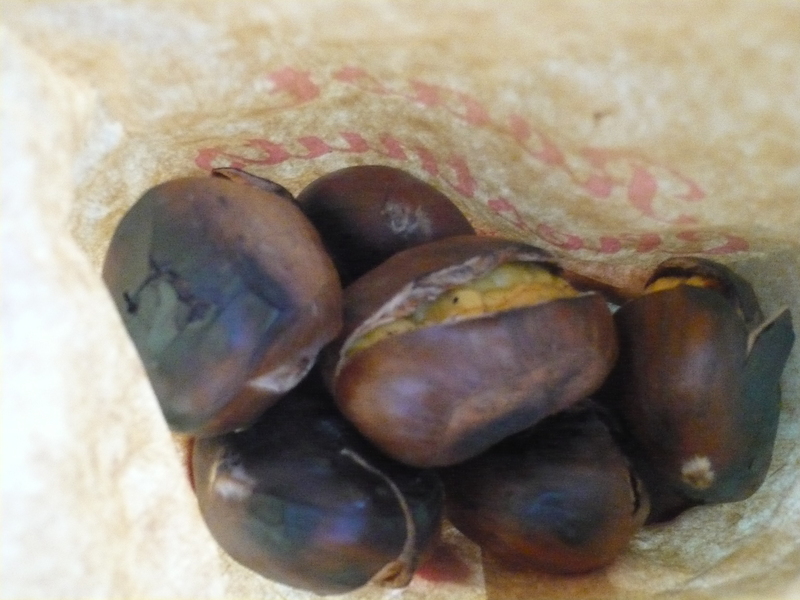 So the first chestnuts I ate were brought by someone else happy who was happy to share the secret. 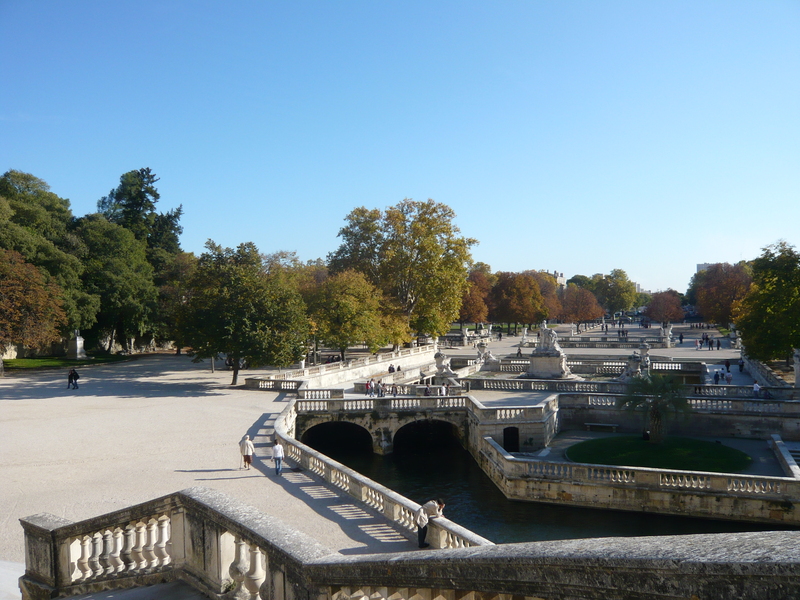 A hot cone of waxed brown paper on a golden Autumn day – in Nimes, France. I had trouble deciding what to make of them. They were not what I was excpecting and took me quite by surprise. 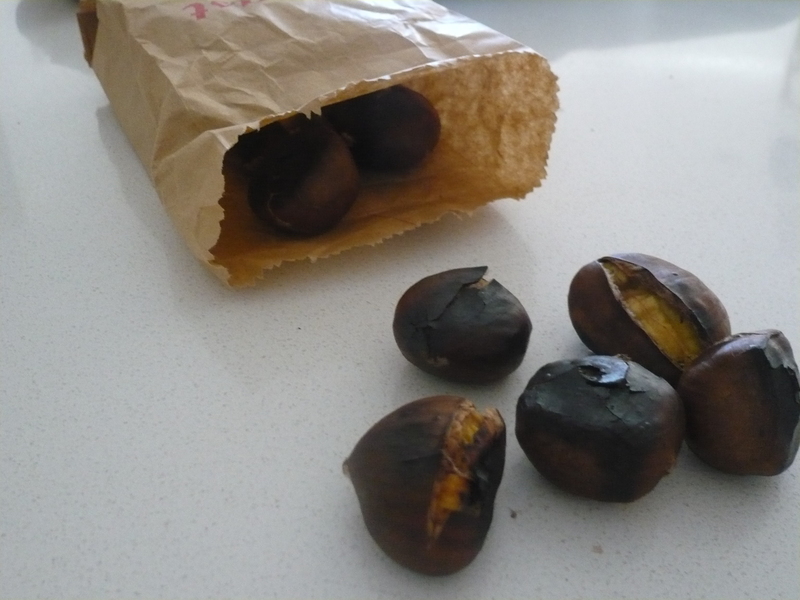 Chestnuts are quite different in texture to other nuts (in part becuase they are actually a fruit), fleshy, soft, fibrous. I have a terrible time imagining what they would be like raw. 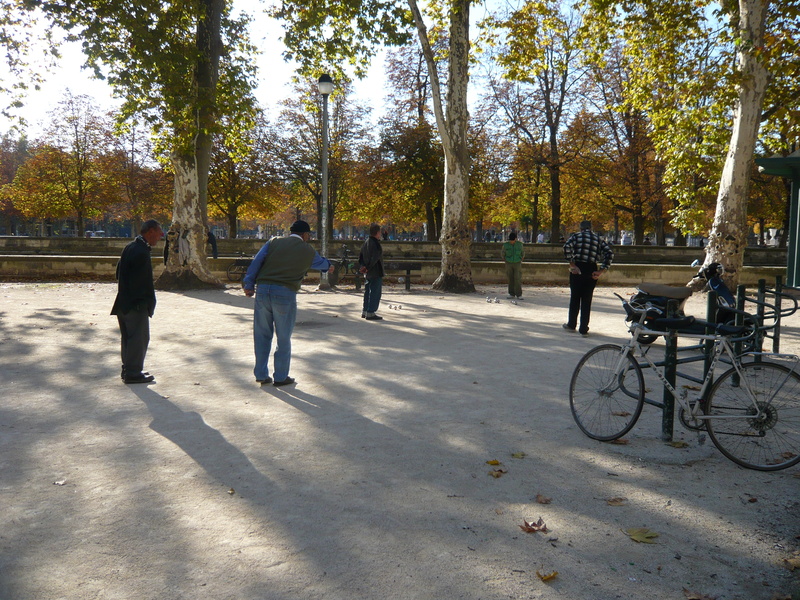 But the day was so perfect, the experience so special, the lovely French grand-peres playing Bocce so sweet when they caught me spying on them – that chestnuts became wrapped up, inextricably, with one of my favourite travel days. 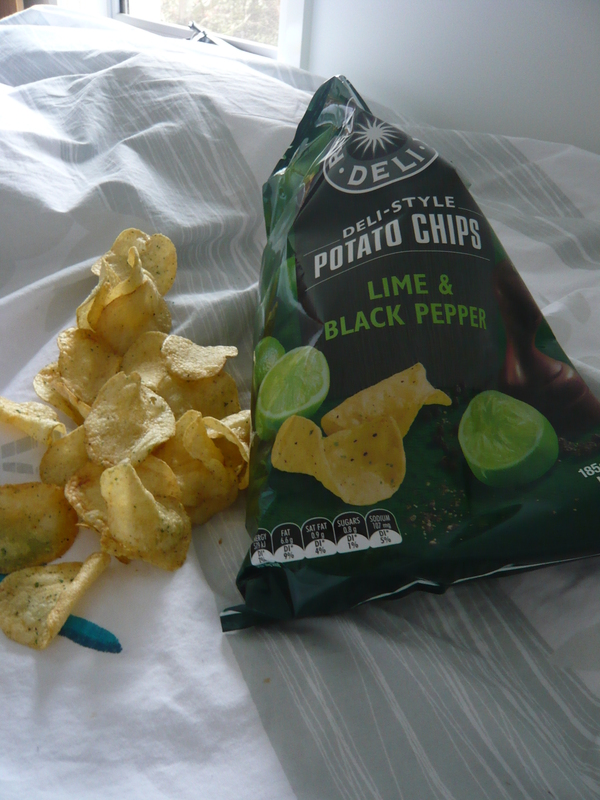 Obviously one perfect day isn’t enough to make you fall in love with a food, but it it enough to inspire a second try. And I’ll be the first to admit that chestnuts, piping hot from the roaster, needing to be gobbled right away, are as much experiential as flavour. But at its heart, so very much of what draws us to food, is experiential. 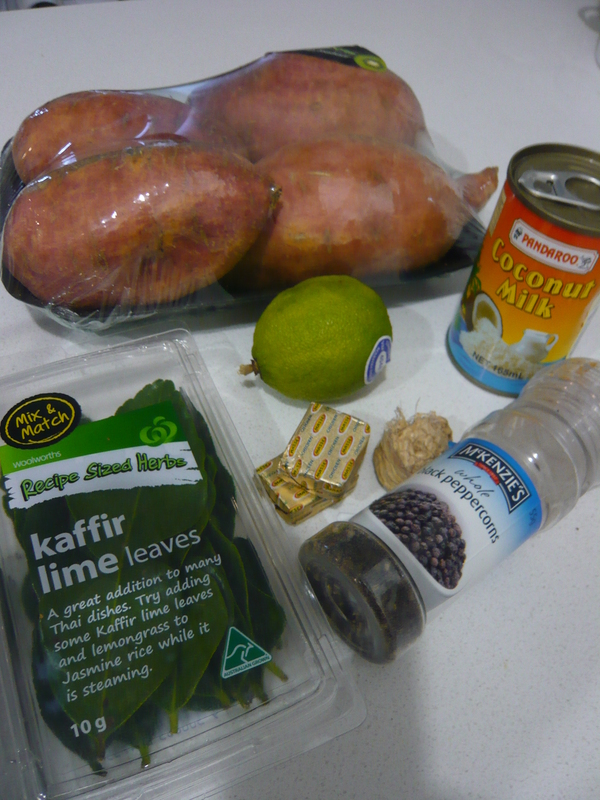 Comfort foods, winter foods, Christmas foods, exotic foods, fine dining – its all wrapped up in values, enjoyment and associations beyond the flavour (though I would never go so far as to suggest flavour is not a central component of the equation. I know you can cook with chestnuts. I had a lovely mushroom and chestnut risotto on the Mornington Peninsular at Easter, and Maggie Beer devotes several pages to their versatility in her fabulous tome on seasonal local cooking Maggie’s Harvest. But for me, the pleasure of the Chestnut seller and the simple flavoursome flesh means I can not imagine cooking with them myself, they would never last long enough for me to do that. I eat them too quick. 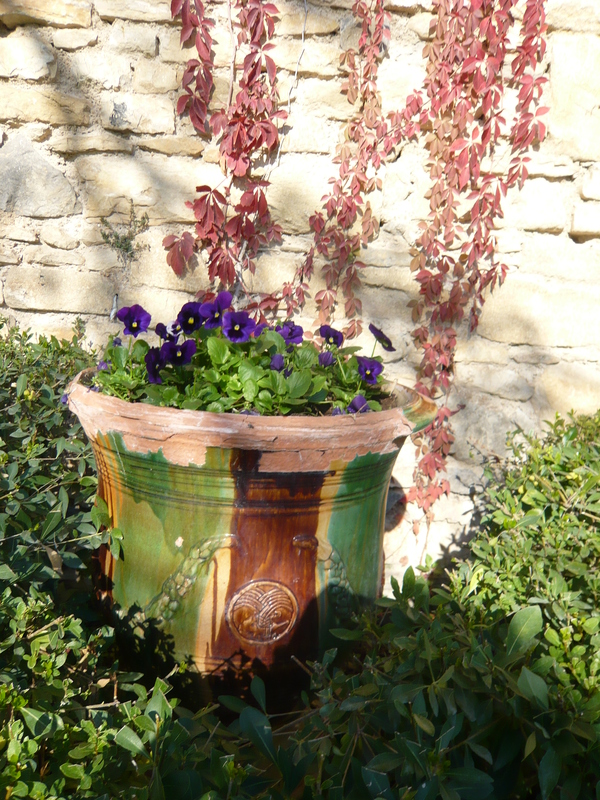 Posted in Travel, Uncategorized and tagged chestnuts, France, Seasonal Cooking, Travel. Bookmark the permalink. 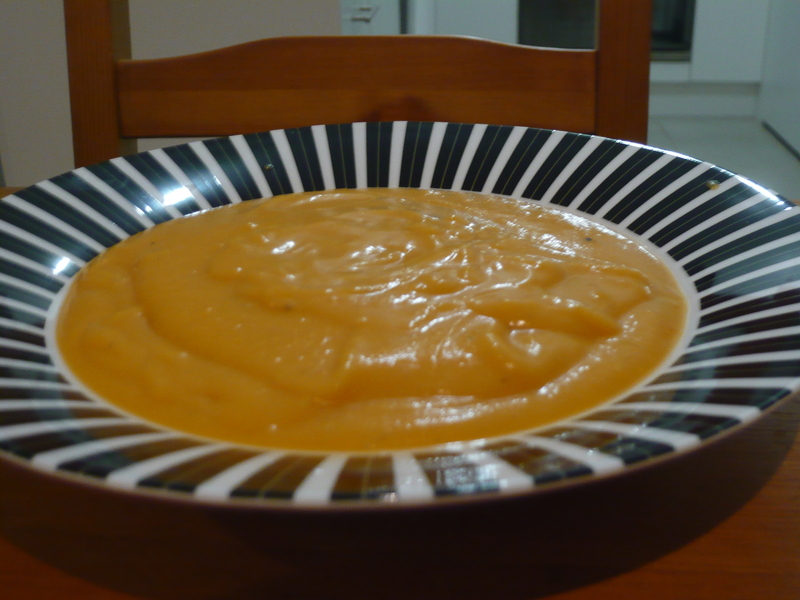 My recent post about pumpkin soup got me thinking. I said at the time my mum makes the best soup in the world. 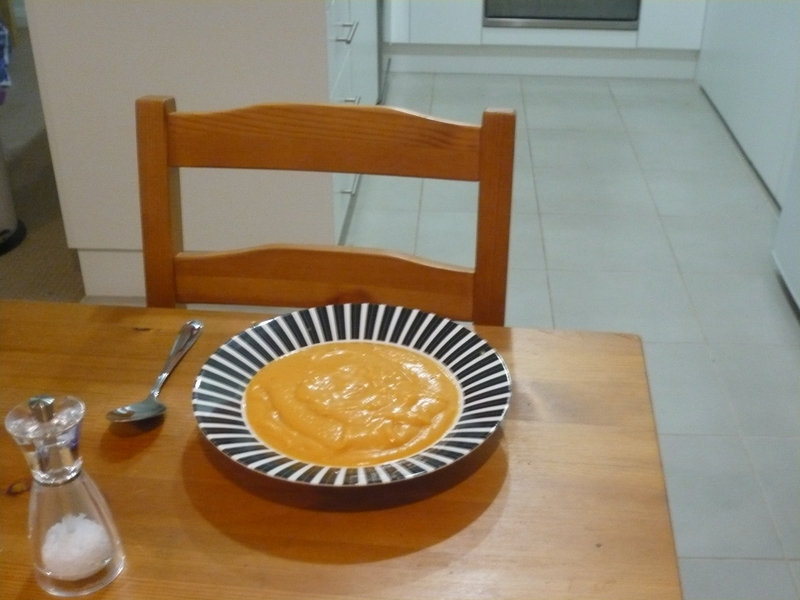 And while I think it’s safe to continue saying she makes the best soup in Australia, with all respect to my mum, I might need to concede that I have had better soup. 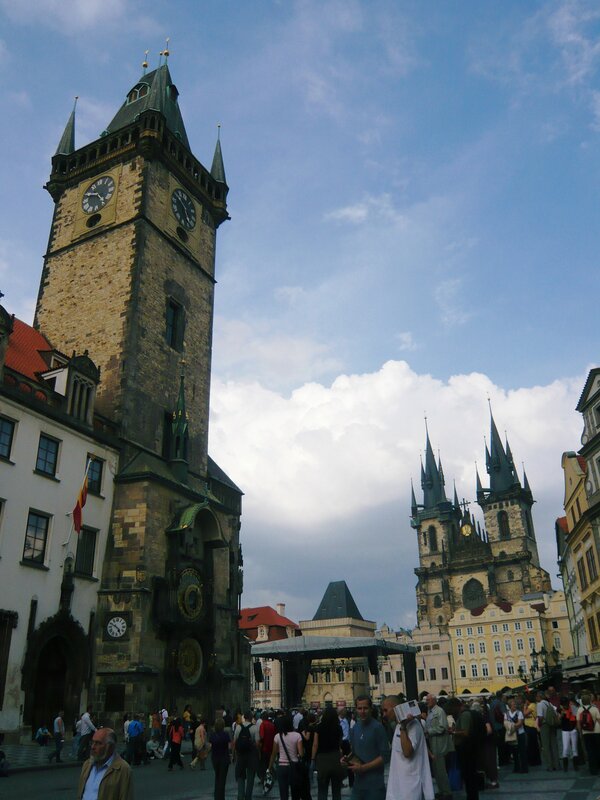 In Prague. 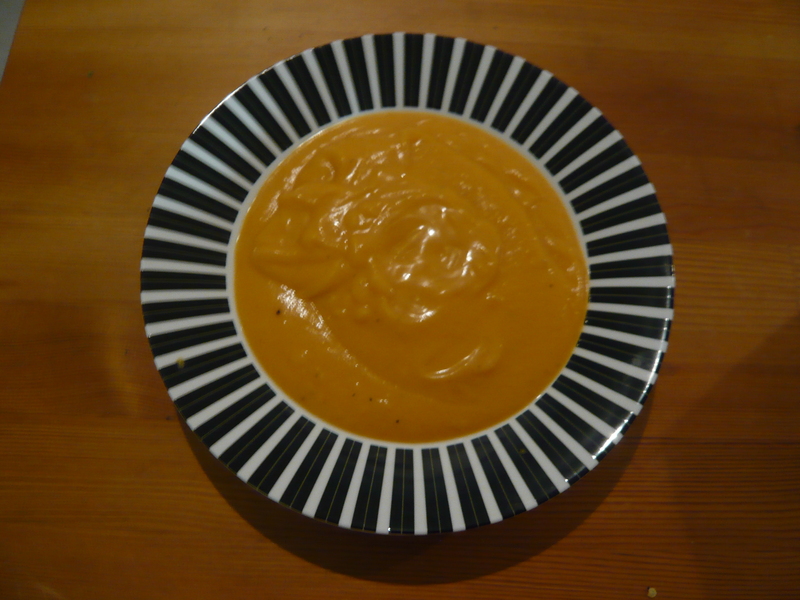 That said, the soup in question was helped along by setting, hunger, and quite possibly the most perfect day ever, so I think memory has possibly made it marginally more special than it was. Mum can retain her crown. At least until I can go back for a second tasting. 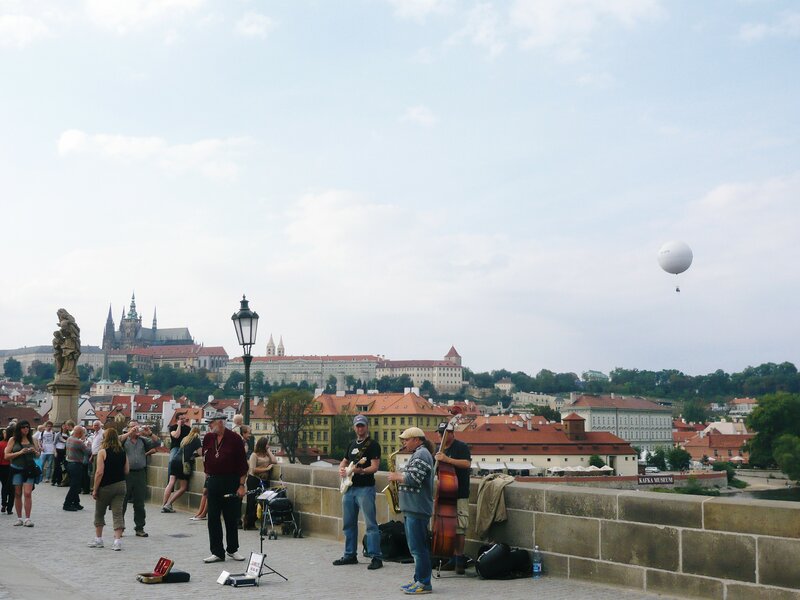 Much like my previously discussed experience in Spain, Prague took me by surprise. I don’t think I had any concept of the Czech Republic at all before I left Australia. 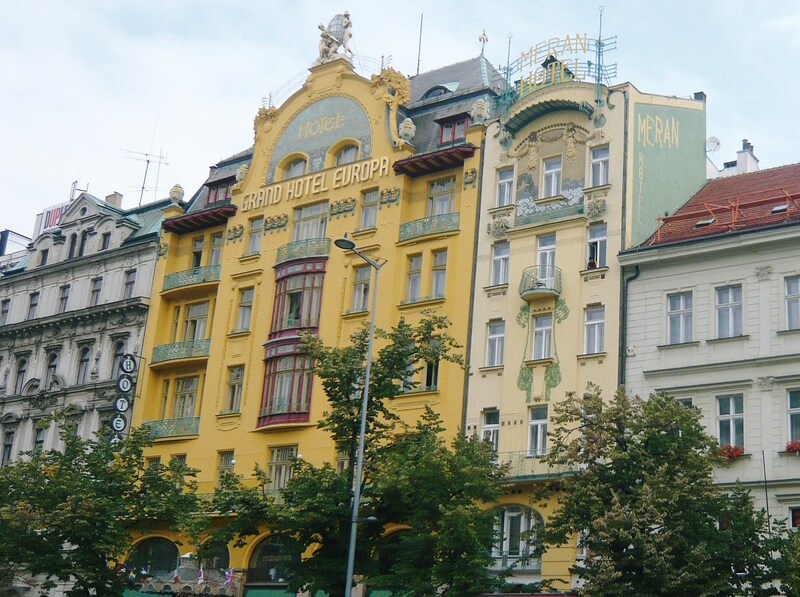 I was thrilled for Vienna and primed for Budapest, but hadn’t given Prague a second thought. People kept telling me how amazingly awesome it was, but I didn’t take it on board at all. Here’s the thing. 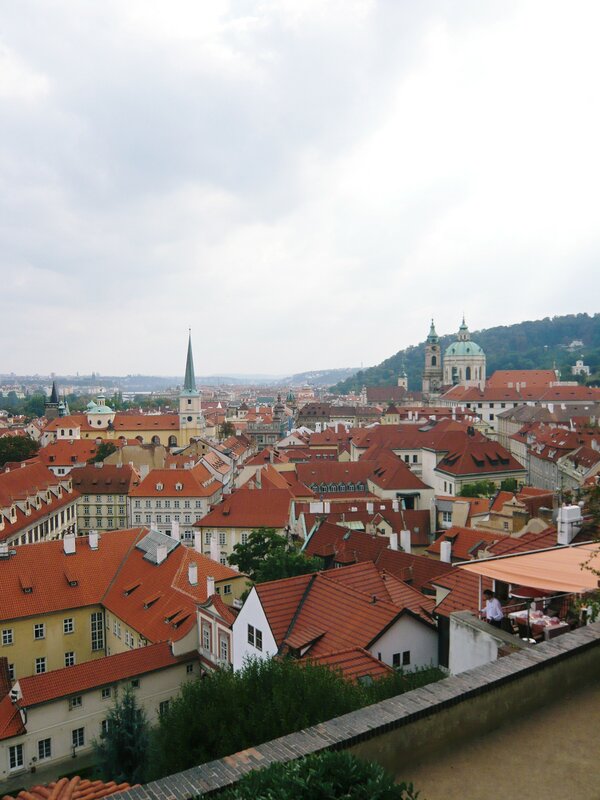 I still can’t tell you what’s so awesome about Prague. If I was to describe my day there to you, like I did in version one of this post, it would sound kind of boring, I went for a walk, sat in a park and read, walked some more, strolled along the banks of a river, crossed a bridge, wove my way up cobbled streets to the top of a hill, looked at an old church (with some stunning stain glass windows) and wound my way back down again. It’s not a day filled with punch or adventure. It was marvellous. I had thought to abandon words all together. But I’ve looked and my pictures don’t capture the magic at all. 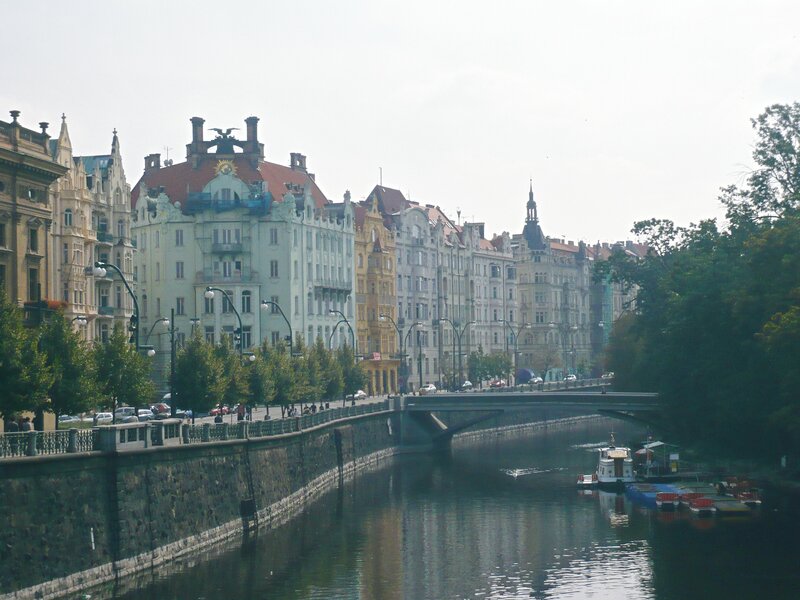 There’s nothing for it, you’re going to have to go and experience Prague for yourself. But in the meantime, here’s my best effort to tell you what’s so fantastic and what you absolutely must go see. 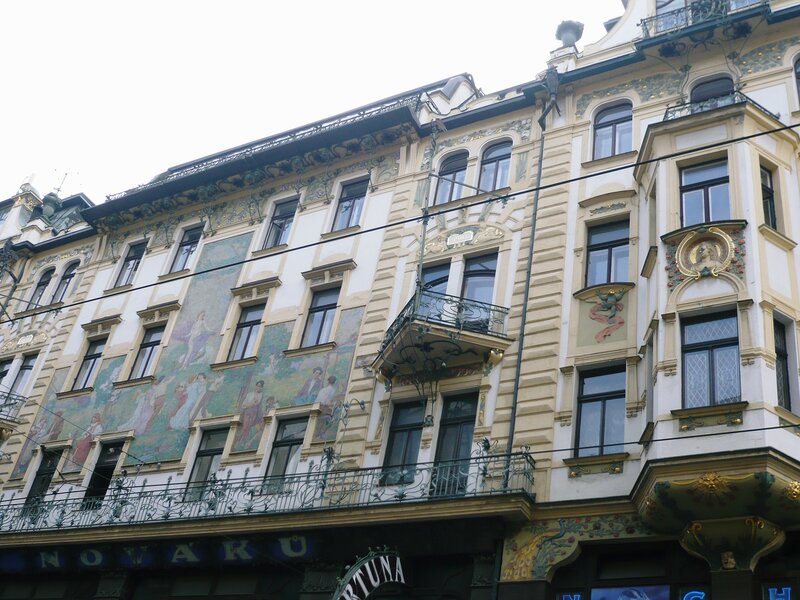 I don’t think I really understood the Belle Époque and Art Nouveau until I wandered the streets of Prague. I had never imagined that a city like this had ever, let alone still, existed. It’s somewhat like walking through streets that have appropriated the aesthetic of a Klimt painting. It’s compellingly as if you’ve been transported back a hundred years. Except it’s not. Because the ravages and hardships of the last hundred years, the wars, the occupations, the Soviet Bloc are faintly there to see and the whole reason why this marvellous architecture remains. Cities reflect not just where the money is, but when it was. In Hobart where I grew up, most of the architecture in the city is colonial, with some sprinklings of Art Deco government buildings. At one time, the abundance of convict labour made construction cheap and the trade winds and abundance of whales made Hobart a regular stop on the trade route of the world. When technology (and morals) changed, so did Tasmania’s economic importance, and a lack of finances stoped old out-dated buildings from being torn down, until they were old enough that no one could. I haven’t read anything on the subject, so this is just conjecture, but I got the sense that Prague had a similar story. The late nineteenth early twentieth centuries saw a boom of money and culture and a blitz of gorgeous, innovative, arresting buildings. Then the wars, the occupations, the Eastern Bloc. By the time anyone was in a position to consider tearing these buildings down, why on earth would you want to. 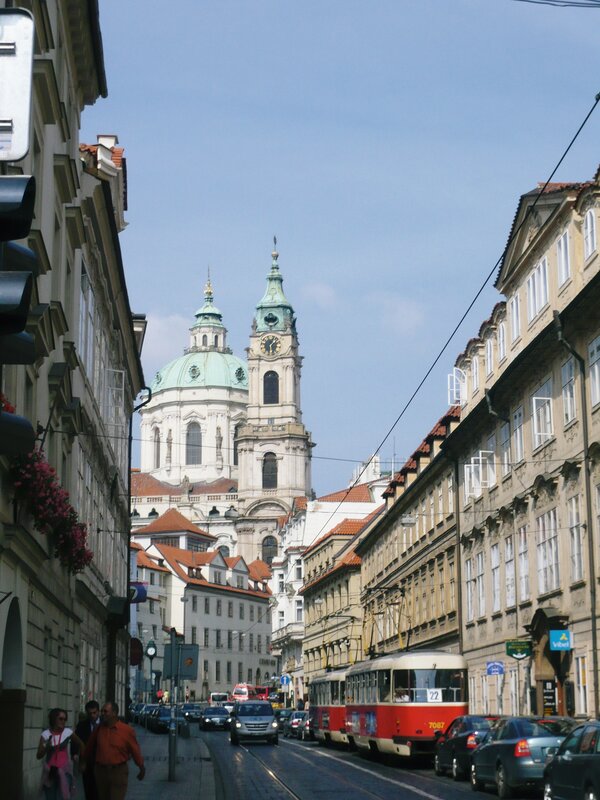 The Old Town is equally lovely, though in a much more anticipated way. Cobble streets, red roofs, a fantastic Cathedral. I was very happy to get lost on this charming hillside for a few hours. And equally charmed by the antique stores filled with treasures and bohemian crystal. This is pegged as the big attraction in all the guidebooks, and rightly so. 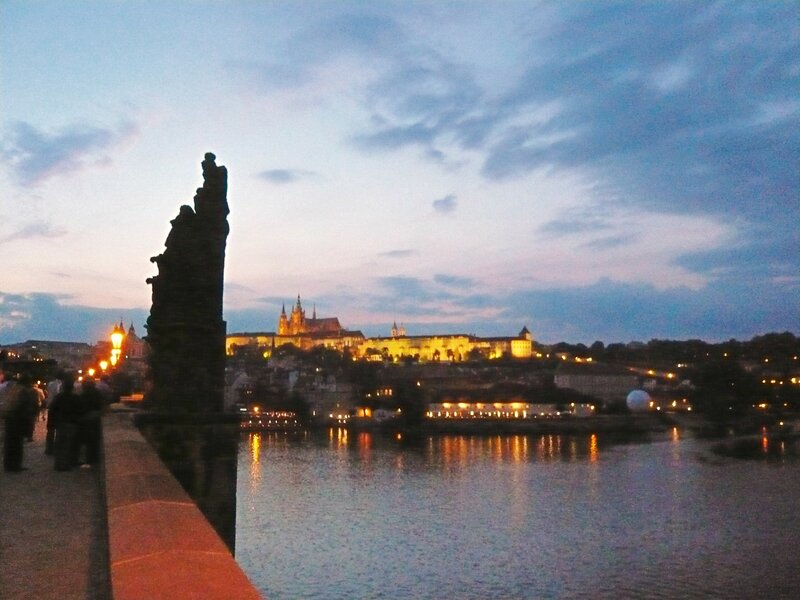 Its medieval sculptures inspire curiosity, and if appropriately informed are rich in legend and superstition, it affords lovely views down the river and up to the old town, and it’s the hub for things that are aimed at tourists, but which tourists want to see. And by this, what I really mean that there was a fantastic, rotating group of musicians playing fantastic, rustic, jazzy standards that transported me to another time. It was marvellous and I stood on that bridge in the cold much later into the night than was sensible, and again in the afternoon crush much longer than was comfortable. There was also a market in the afternoon, however I had shopped a great deal by that stage so didn’t pause to peruse. Sure they’re tourist kitsch, and everywhere, but of all the tourist art I accumulated these are the purchases that still make me happy. 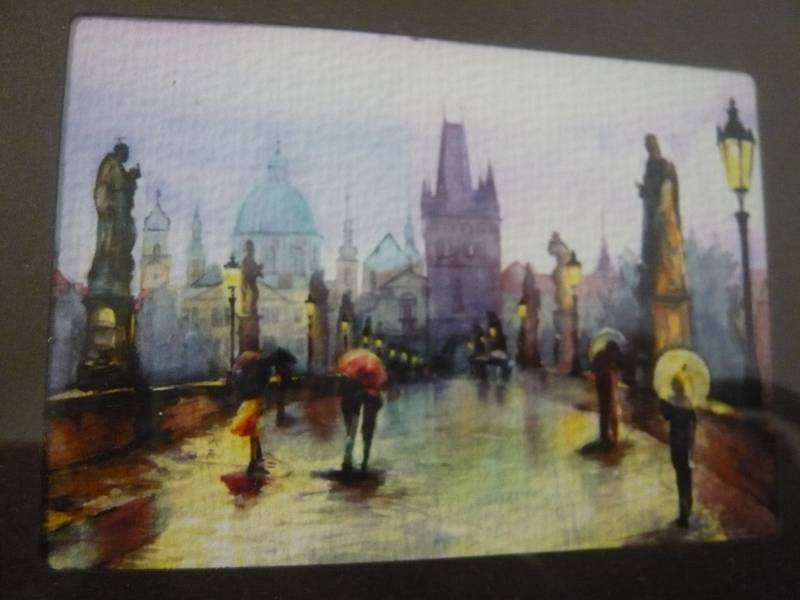 The lady who sold me this watercolour was friendly and full of advice on how to make the most of my day. Her big tip was to cross the road, turn left, walk 2 blocks and take an early lunch at her favourite cafe. “Like Paris” she said. And it was. But it wasn’t like the Paris I’d just been too. If I squinted, twisted my head the right way and was willing to commit to it, it was the Paris of my dreams. 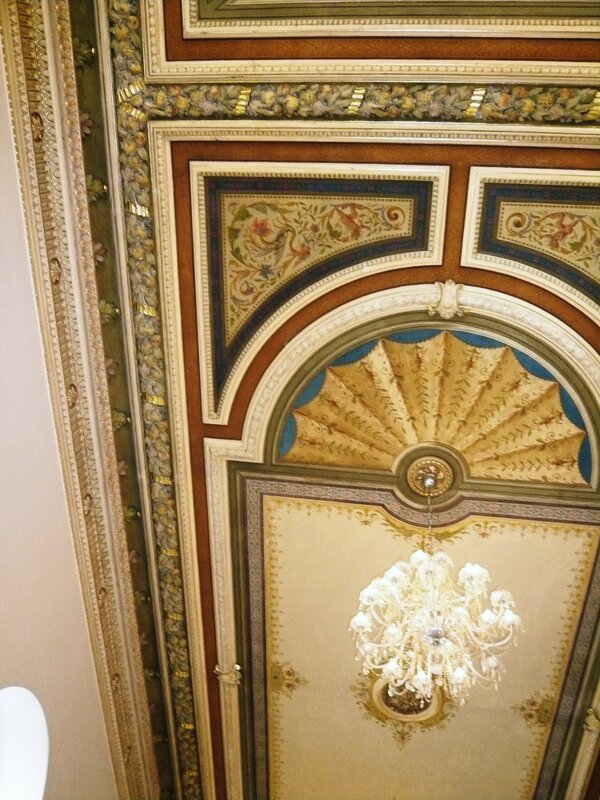 The interior took the nostalgia architecture the step further, I was transported: beauty, glamour, the Belle Époque. I ordered pea and potato soup with croutons, but it was just a wee bit more special than what I was expecting. 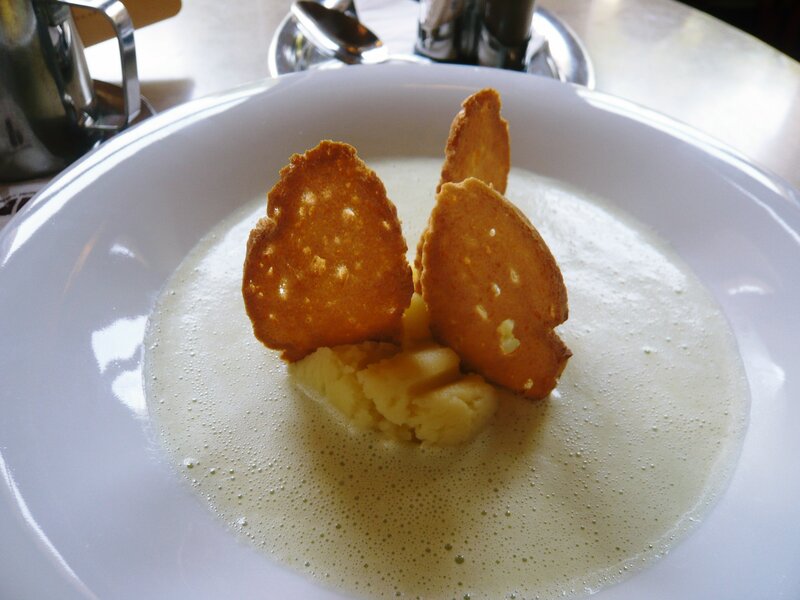 My soup arrived with a flourish, a mould of fluffy potato, three long elegant croutons, a jug of frothy pea soup poured at the table with a dash of drama. It was all very simple and elegant, but dining with a touch of theatre made the experience so memorable and the day (and Prague) that bit more magical. Posted in Travel and tagged Soup. Bookmark the permalink. Tomorrow is Saturday. It means we office workers have a bit more time. The pace is slower, lazy even, schedules and chores permitting. And as a result, our meals can be slower too. It’s undeniably nicer to be able to cook something fresh and savour out in the sun, rather than reheating and scoffing at desks, or dashing across to the shopping centre to grab mass produced takeaways of limited nutritional value. There’s nothing I love more of a Saturday then heading the two blocks to the markets, grabbing crusty bread, fresh produce and delicious deli goodies and enjoying a lazy lunch. We have such access to variety now. Airplanes and freezers allow us whatever we want, pretty much year round. As such I think it’s incredibly important to think of meals that can start to seem somewhat ordinary as “treats”. If its yum, it’s special. This not only helps keep olives that little bit exotic, it’s also been one of the cornerstones of my changing attitude to food and part of what has allowed me to lose 15kg since September. But the meal below isn’t one I’d advise to those looking to lose weight. My food coach wouldn’t be a big fan of the glass of wine, or the double dose of cheese. Nothing is wrong in moderation, but this meal is definitely a treat. So, go, shop, prepare, eat. Our nights may be cold, and our mornings frosty, but this week at least midday has been crisp and bright. Make the most of the autumn sunshine and treat yourself to a lazy, luxurious lunch. Posted in deli goodies and tagged weekend. Bookmark the permalink.